Brand development is one of the most essential components required for success nowadays. Companies all over the globe spend hefty sum of money on branding and to create a cult around their brand. However things are a little different and relatively tougher for small businesses as they have to compete with organizations with deep pockets. Contrary to popular belief, brand development could be done with a tight budget. 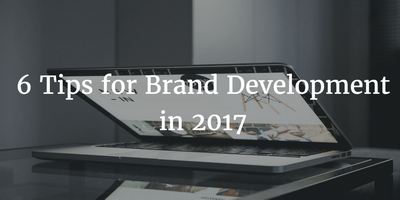 Following are tips for small businesses to do brand development in 2017. It is impossible to build a brand without being visible and accessible by your target audience. Businesses must socialize with other businesses and their target audience to make new connections and more importantly to increase their brand exposure. The easiest way to do this is by increasing your interaction with the audience, customers and potential users. This tip is directly connected with the previous one as social media is one of the most cost efficient, effective and easiest ways to get in touch with your followers. Although big organizations also use social media in their advantage but small businesses can get more out from it by incorporating smart brand development techniques in 2017. However, don’t use social media like Facebook and Twitter as a pure marketing or branding channel as the primary purpose of these platforms should be interaction with fans. Regardless of the exact industry of your business, you need to adopt new trends regularly. People like progress and in order to offer them better products and services, you need to continuously evolve. One way to learn about industry trends is analyzing your competitors and their marketing strategies. However, being the “first mover” and “last mover” both have their own advantages and disadvantages. This is no brainer; if you have a significant user base and readers who regularly visit your website to read interesting contents like news etc. It is essential to be authentic all the time to increase your brand value. This may seem easy but it is a lengthy and difficult process where a single mistake can ruin your reputation. Being a trusted source would help you get more readers and finally you would be able to convert those readers into customers. That’s a cliché but there is a catch; by paid advertisement people usually think about everything other than social media but nowadays social networks like Facebook have amazingly efficient advertisement solutions. By using Facebook advertisement, you can target your users based on their geographical location, income, gender, hobbies and many other factors. In other words, you can get more out of your advertisement budget used on Facebook than other platforms. Email marketing is not as much popular nowadays as compared to few years ago but contrary to general perception, it is not dead – at least not yet. Unlike other marketing techniques, email marketing has a very high Return on Investment (almost 40 times) which is pretty amazing and kind of evidence on its own. However, avoid spam emails with generic contents but instead make a good first impression with your email. What is SEO and How Your Business Can Benefit from it?